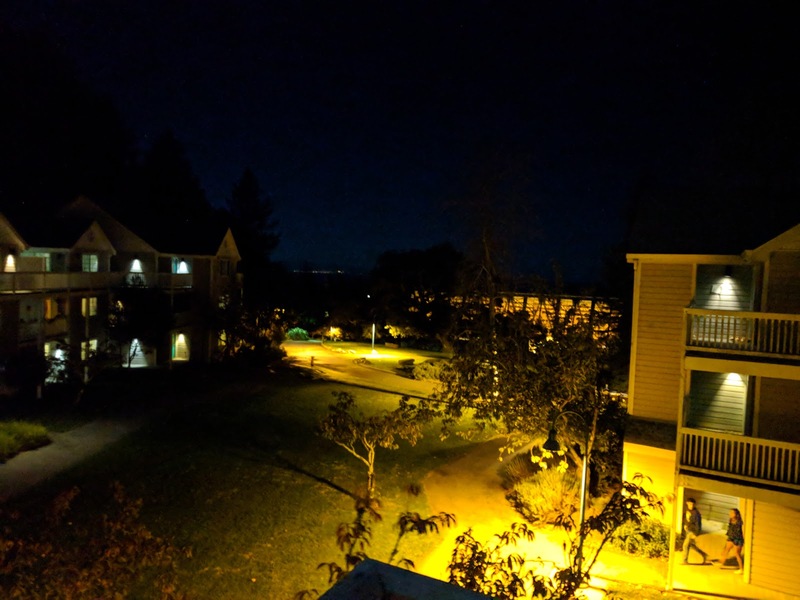 Clear skies, windy, and cold evening at UCSC Rachel Carson College. The Pacific is in the distance. You can't see it in the photo, but it's there, right behind that horizontal line of faint lights.